FAQ and Articles - Shipping with UPS: methods of shipping explained. HomeFAQ and Articles	Shipping with UPS: methods of shipping explained. 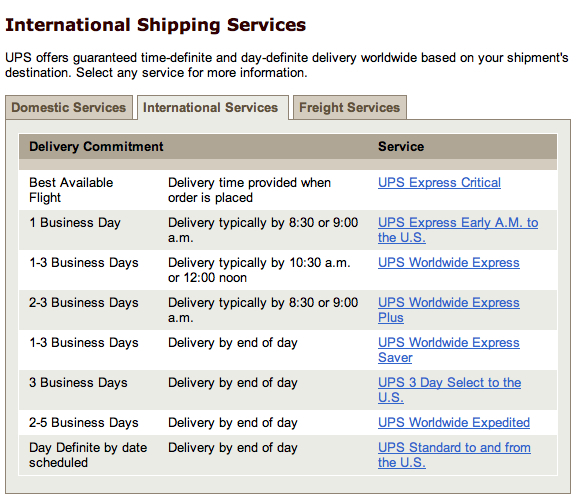 UPS provides fast shipping service, and their tracking information is available online. Unfortunately, UPS does not deliver to APO/FPO and PO boxes; these orders are shipped using USPS and Canada Post. 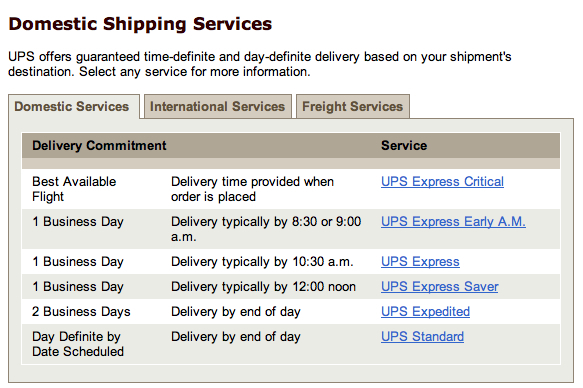 Below is the delivery timeframe for orders shipped domestically and internationally. Please be advised, that for certain remote areas UPS may not be available. ScreenCountry.com is not a shipping company. Delivery times are a commitment and responsibility of UPS. Delivery delays and interruptions may be caused by weather conditions, holidays or customs delays. ScreenCountry.com in not liable for shipping delays caused by the courier. The cutoff time for UPS orders is 1:30 pm PST. Orders that are submitted later are shipped the next business day. For inquiries on tracking please contact UPS.